Free pattern for a rose crochet blanket. This is absolutely beautiful. I would love to make it. Can you send me the pattern? 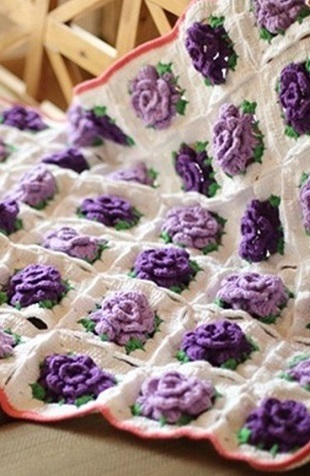 I would love to have this purple rose crochet blanket pattern. It is so beautiful! I love the purple Rose crochet blanket. Do you have the written instructions available. I would love to make this. But have never used the diagram format. Please send me the instrustionsformacramehanger how to make this beautiful afgan. Hi your purple rose blanket is one of the most gorgeous I have seen…..I cannot read a chart though and was wondering how I could get a pattern written out…willing to pay. Thank you so much…..
May you please send me a pattern of the purple rose crochet blanket? I love the purple rose blanket. How can I get the pattern? Would love the pattern for this beautiful purple rose blanket, please? I am in love with this blanked. I also cannot use the chart that is pictured above. Do you have a written pattern. If so, can you please send it to me. I would love the written pattern have not learned how to stitch by graph. Thank you in advance. Can you please send me your pattern for the purple rosr crochet blanket. I cannot seem to get it to come up. Here is my e-mail. This is a truly beautiful blanket. I would like to have the pattern to make it for my Granddaughter. I love the purple rose afghan but I need the written pattern please and thank you. 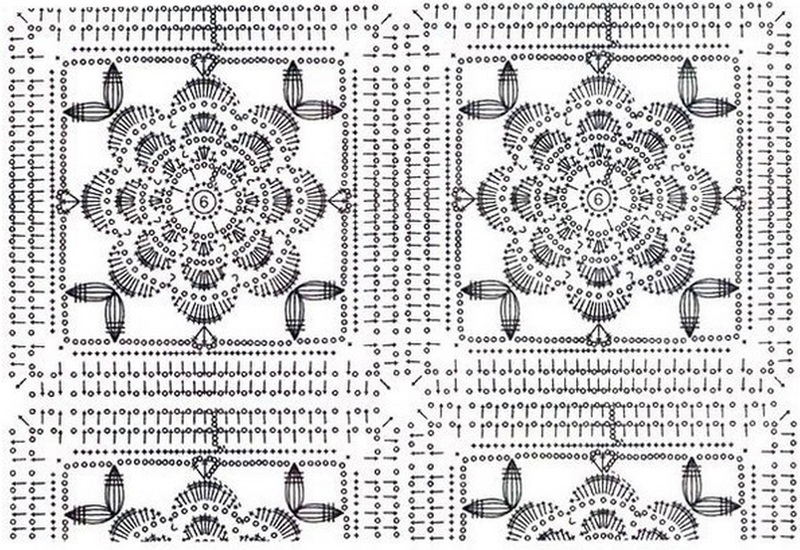 The diagram is the pattern we have available for this blanket!